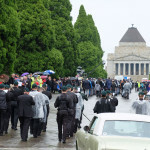 Like many other Australians and New Zealanders, our Anzac Day started very early as we joined the huge crowd that went to the Dawn Service at the Shrine in Melbourne. When I was younger, I had always wanted to attend this service…and now I can say that this was the third time we have been. Technically, we have almost been four times…one year we stayed at a hotel just opposite the Shrine, but my husband was too sick (pre liver transplant), so we watched from our room. 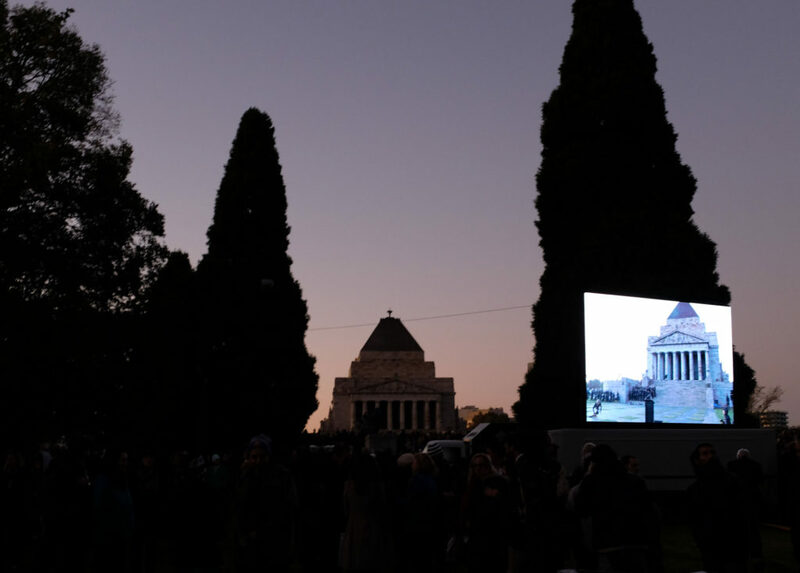 The Dawn Service is an amazing and moving experience..it is surreal to stand amoungst thousands of people in total darkness and total silence. In fact, you don’t really know how many people are around you until the sun starts to rise…reports are there was about 45,000 there this year. Today’s service was beautiful and emotional…the Last Post sounding eerily across the Shrine forecourt. The dawn was still…not a cloud in the sky…and surprisingly, not as cold as I expected. This year, we stood further back, so we could see one of the large screens…. Afterwards, we walked up closer, and witnessed the wave of people waiting to enter the Shrine, to place a poppy and pay their respects…. Fortified, we then went back out into the glorious sunshine to watch the Anzac March. 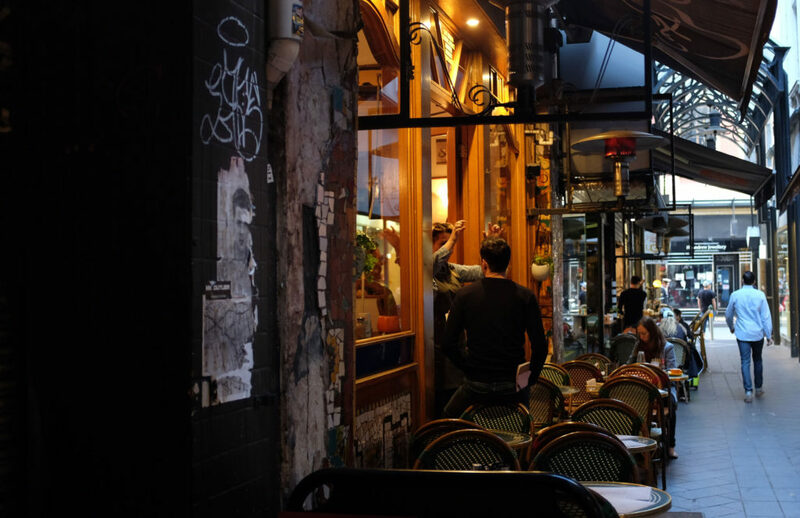 Last year, we didn’t go to the Dawn Service but my husband marched in the parade with a brass band…it was cold and wet, and I froze while waiting. 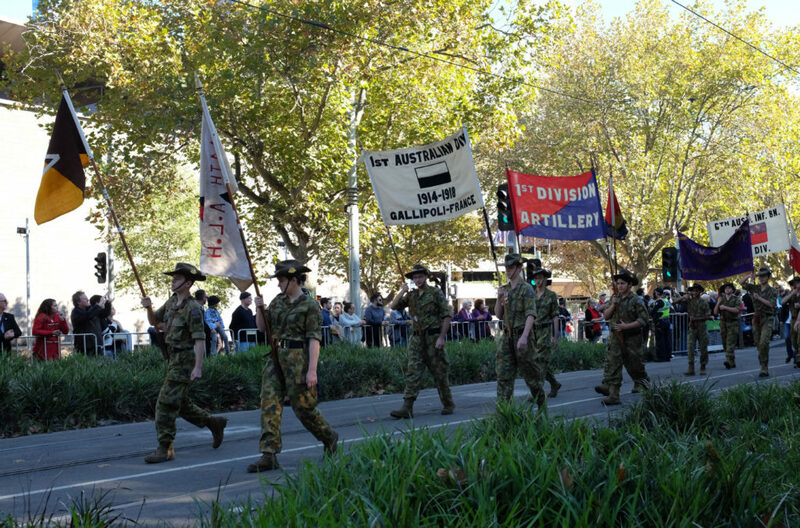 We applauded as the Vietnam Vets lead the parade for the first time…this year marks the 50th anniversary of the Battle of Long Tan, in which 108 Australian troops held off more than 1,500 Viet Cong soldiers. 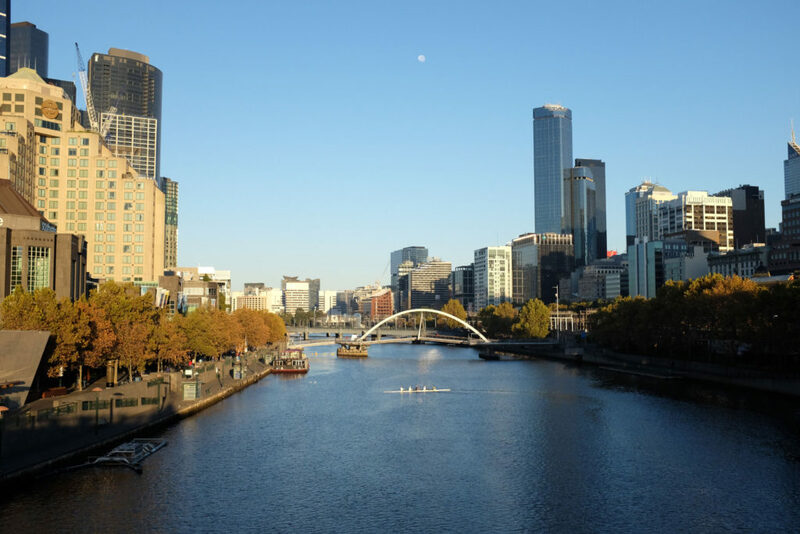 What did you do this Anzac Day? 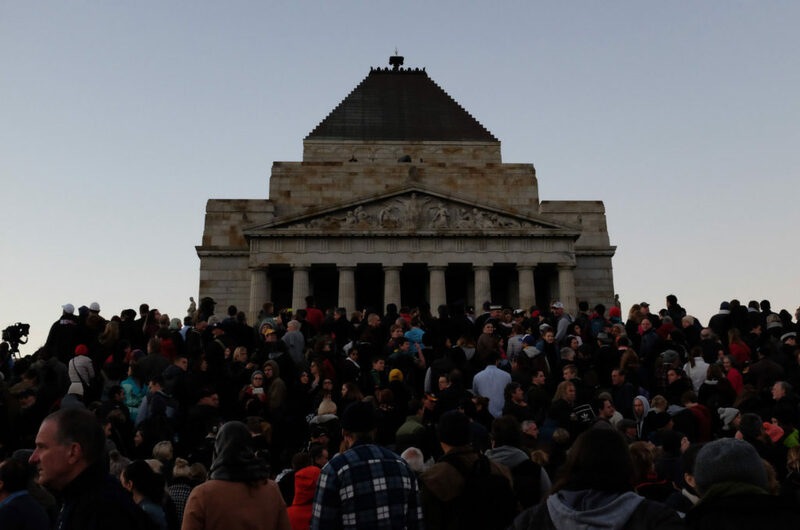 Did you attend a Dawn Service?